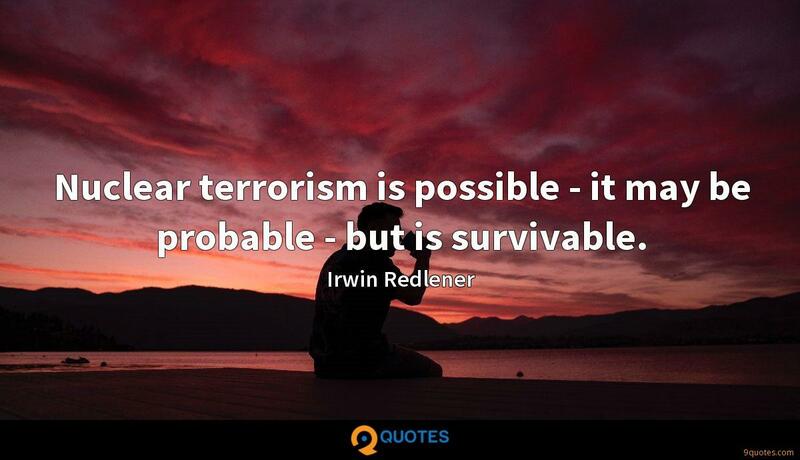 Irwin Redlener Quotes. 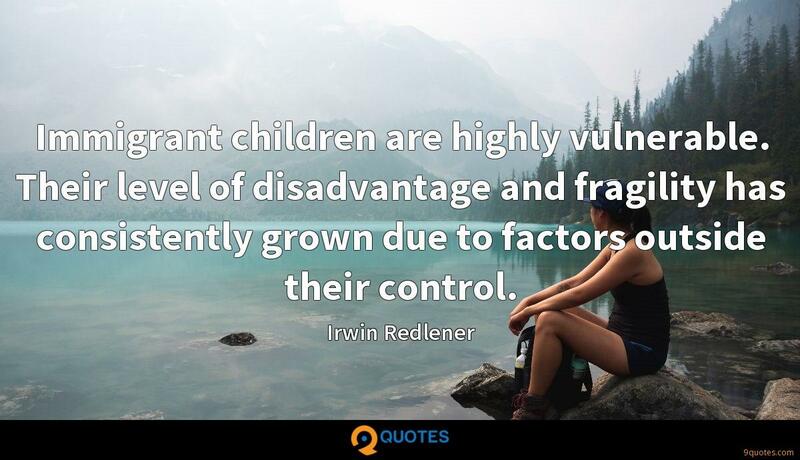 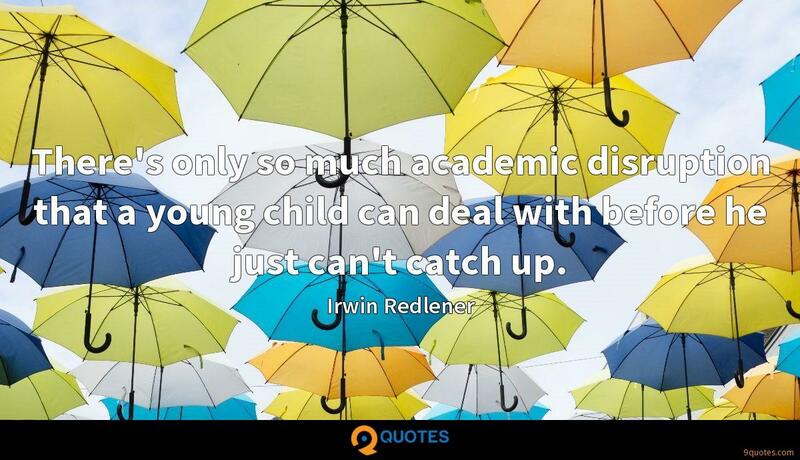 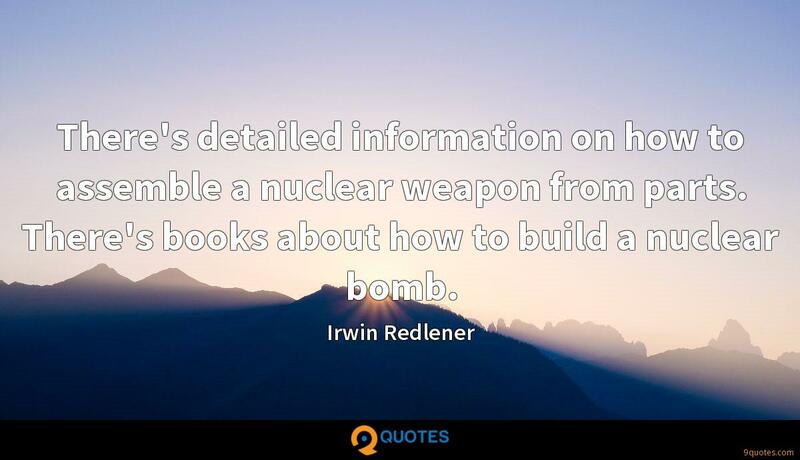 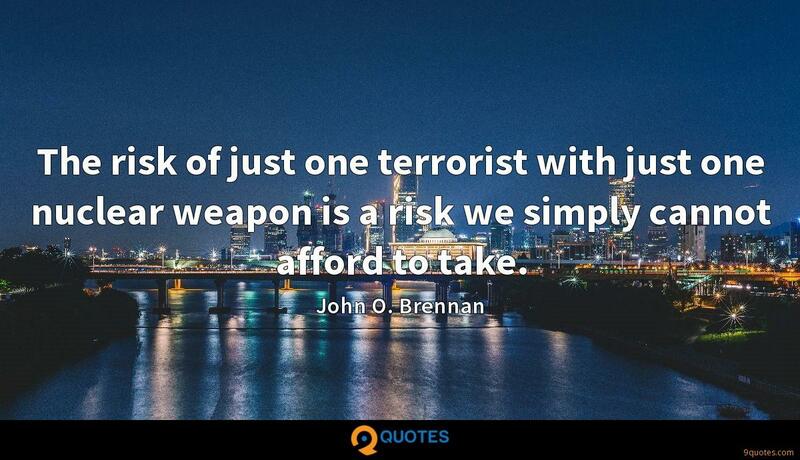 9quotes.com, 2018. http://www.9quotes.com/quote/irwin-redlener-313159, accessed 20 April, 2019. 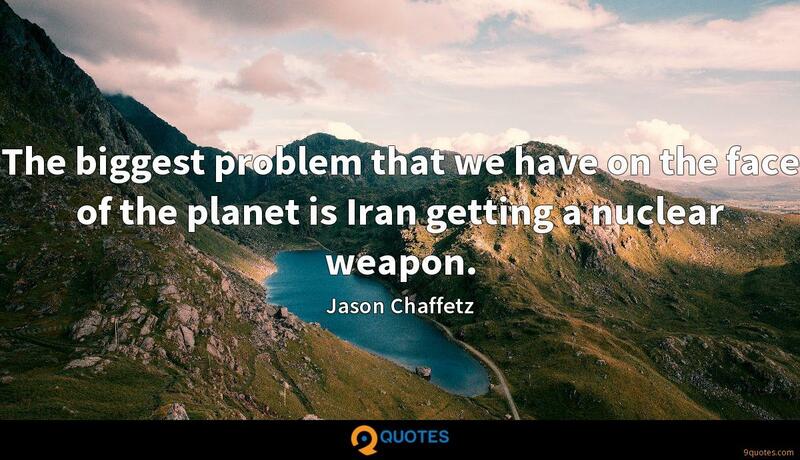 The biggest problem that we have on the face of the planet is Iran getting a nuclear weapon. 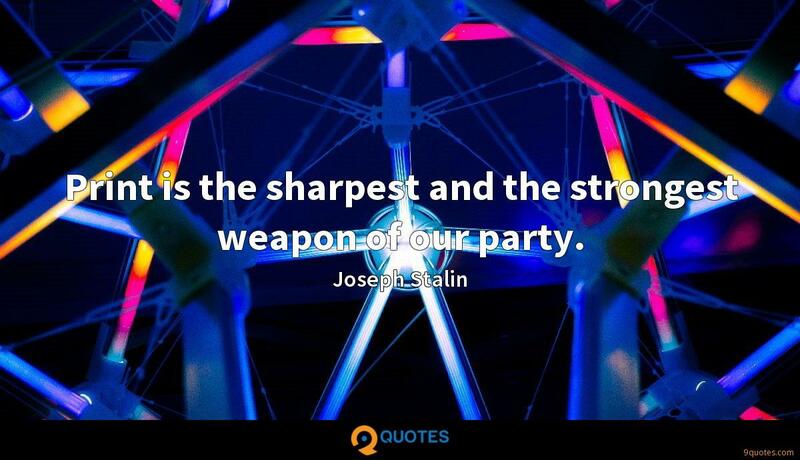 One of the real ways out of conflict is humour. 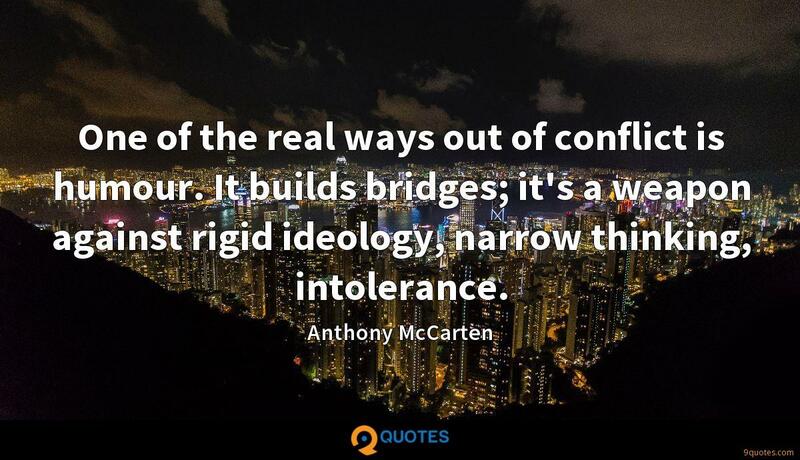 It builds bridges; it's a weapon against rigid ideology, narrow thinking, intolerance.